Sara from Sew Sweetness shares her tutorial for stitching up a clever clutch that converts into a shopping bag. Sara uses a large, bright fabric print paired with a solid for a really bold bag! Use coordinating or contrasting prints or all solids to change up the look of your bag. Perfect for a day of light shopping and lunch! 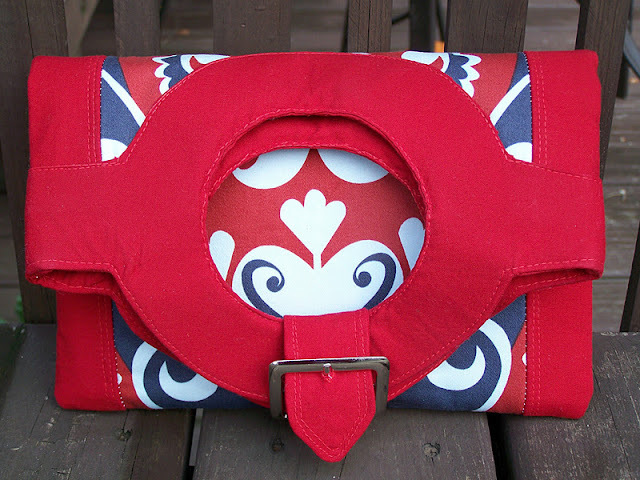 Click here to get the Caliti Convertible Clutch Tutorial from Sew Sweetness.